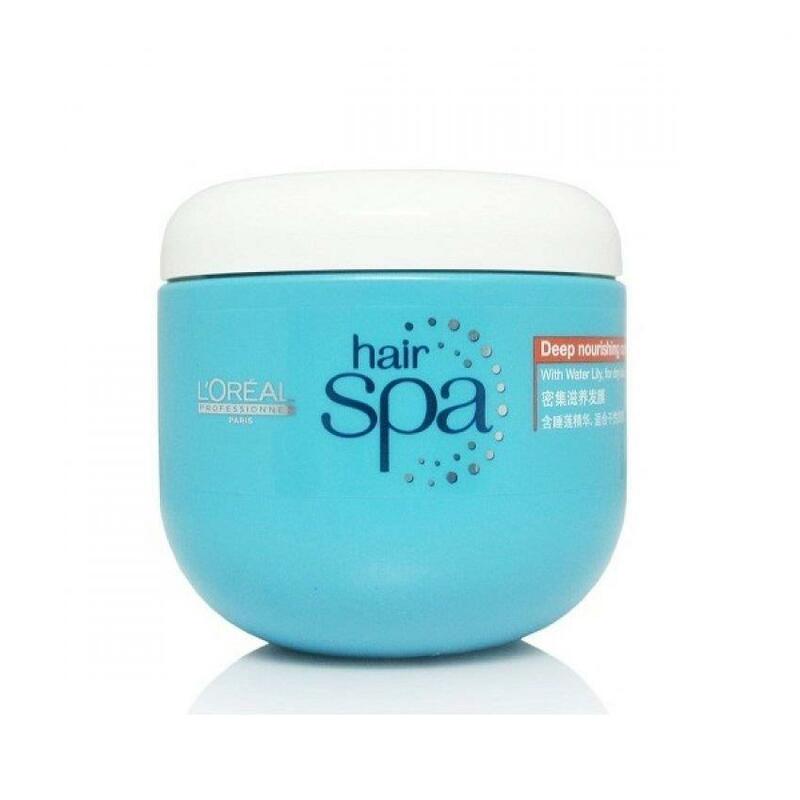 LOREAL HAIR SPA DEEP NOURISHING CREAM 500ML – HAIRDEPOT - Hair & Scalp Care Products, Prevent Hair Loss, Shampoo, Conditioner, Treatment, Styling, Appliances and more! Description The Deep nourishing formula is based on purified water, a cationic agent and conditioning silicone. The hair gains manageability and softness for healthy - looking hair with beautiful shine. For dual-action on hair and scalp: blend this creambath with the appropriate scalp concentrate. 1. Bleand a generous amount of the smoothing creambath with the corresponding scalp concentrate. 2. Apply the blend to shampooed, towel-dried hair. 3. Distribute evenly and massage thoroughly into hair and scalp for 20 minutes. 4. Comb and leave for 10 minutes using a steamer or warm towel. 5. Rinse thoroughly and finalise treatment with the energizing scalp lotion.